The Cherokee was a redesigned reintroduction of a two-door body style, with a single fixed rear side window with an optional flip-out section. 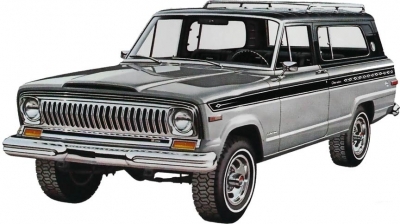 Previously, a two-door version had been available in the Jeep Wagoneer line from 1963 to 1967), although this had the same pillar and window configuration as the four-door Wagoneer. 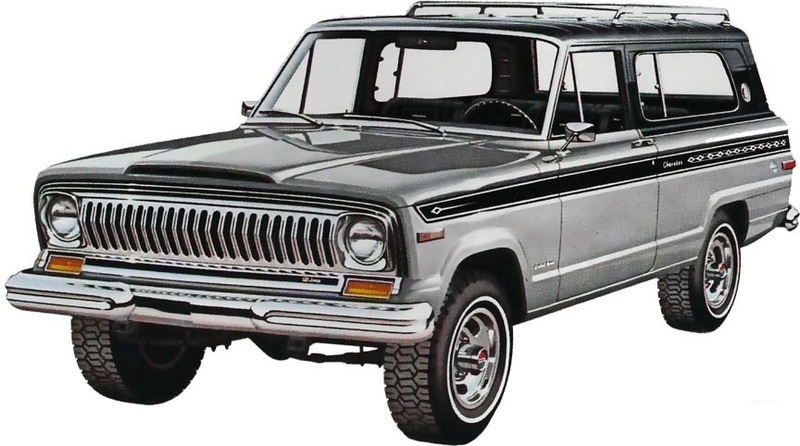 The Cherokee was marketed as the "sporty" two-door variant of Jeep’s station wagon. The term "Sport Utility" appears for the first time in the 1974 Cherokee sales brochure. A four-door was not added to the lineup until 1977. Other than the base model, the trim levels of the Cherokee included the S (Sport), Chief, Golden Eagle, Golden Hawk, Limited, Classic, Sport, Pioneer, and Laredo.